There are two parts to the energy efficiency equation: insulation and air sealing. Air leakage causes a significant amount of heat loss, and can get worse as the weather gets colder. In addition, air movement across and through some types of insulation can reduce the performance of the insulation. 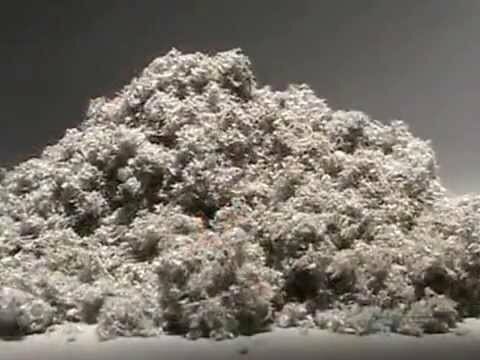 Here’s a fantastic little video clip from a foam manufacturer showing the difference in air movement through three different types of insulation in a test situation. 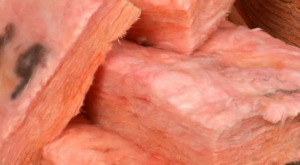 Fibrous insulation does not stop air leakage, but some types, like dense-pack cellulose can slow down air leakage. Not terrific air sealing materials, but there are lots of materials in any wall, roof, or floor assembly that can act as an air barrier. The structure of cellulose insulation allows it to be compressed so that air cannot move through it easily. The structure of fibreglass batt insulation creates ‘chimneys’ for moving air to flow through, reducing the insulating value of the material. Some spray foams, applied properly and with adequate thickness stop air leakage ***and*** insulate. They can be a good choice for a wall, roof, or floor assembly, but they are not always the best choice. 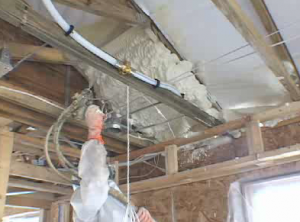 Spray foam comes in several densities. The higher the density, the higher the R-value. High-density foams are good air barriers.